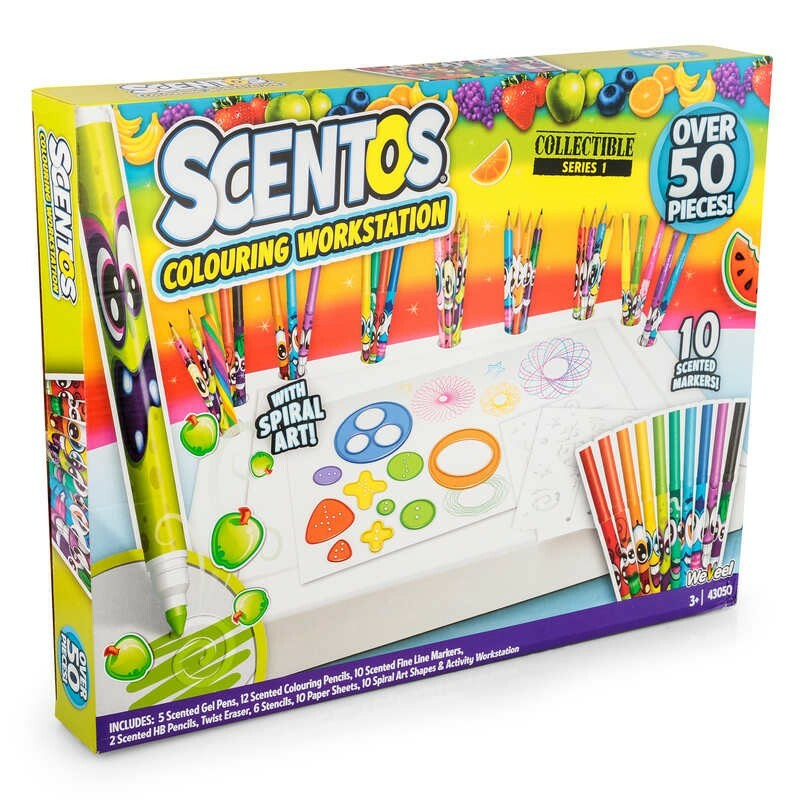 Extra-large Scentos workstation that includes more than 50 items. 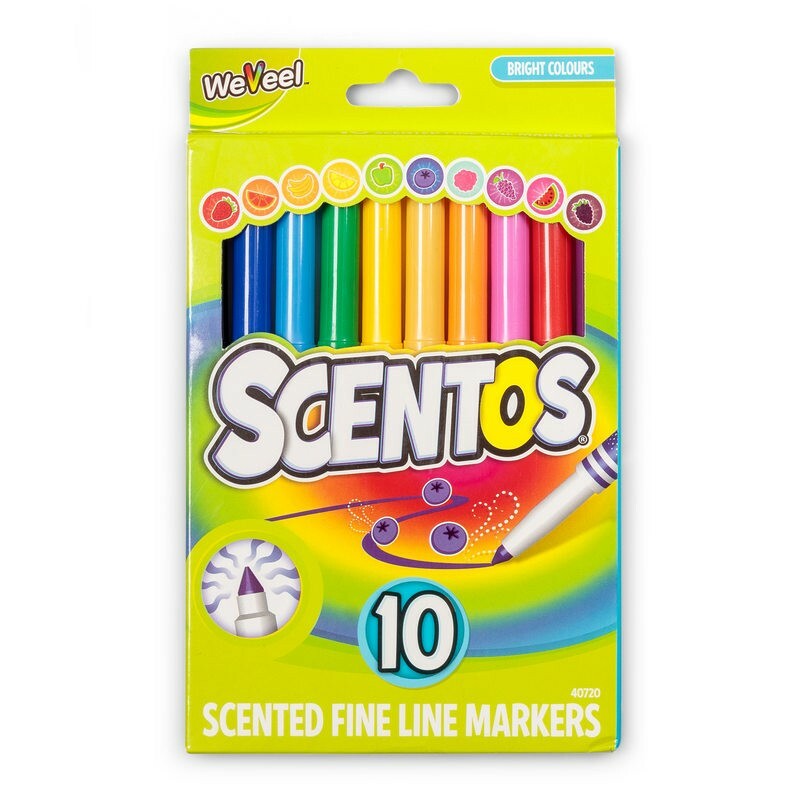 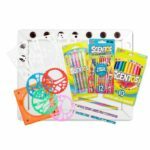 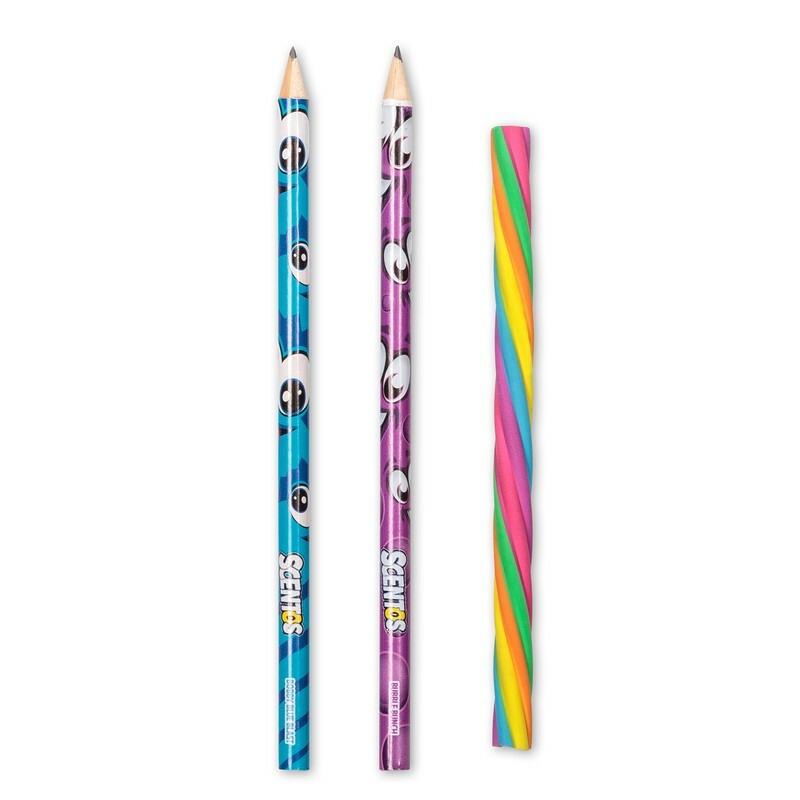 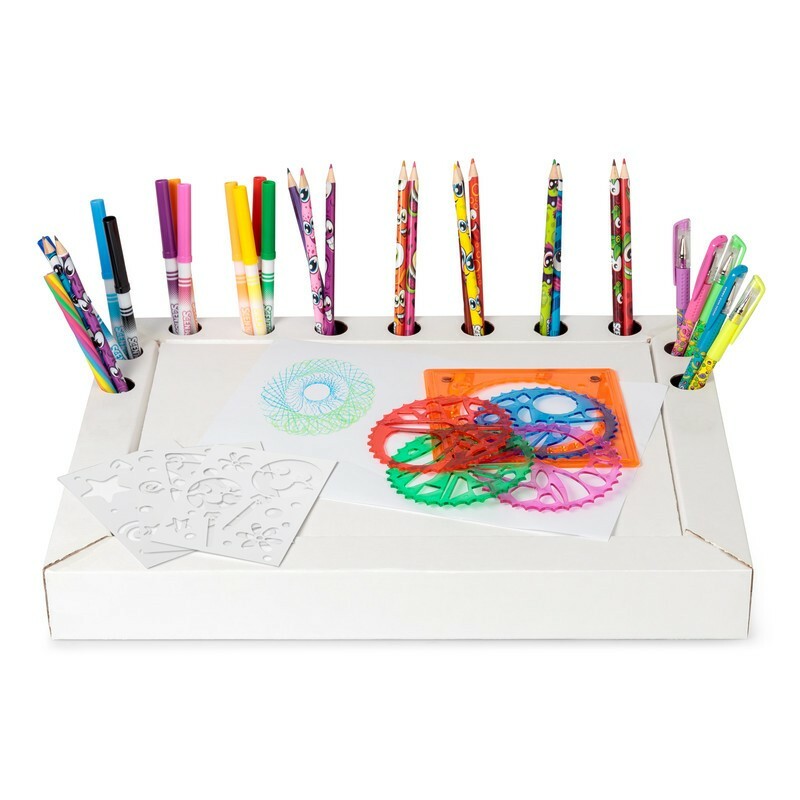 In the box you will find a fantastic selection of stationery items that include six gel pens, twelve colouring pencils, ten fine line markers, two HB pencils, a twist eraser, six stencils, ten sheets of paper and ten spiral art shapes. 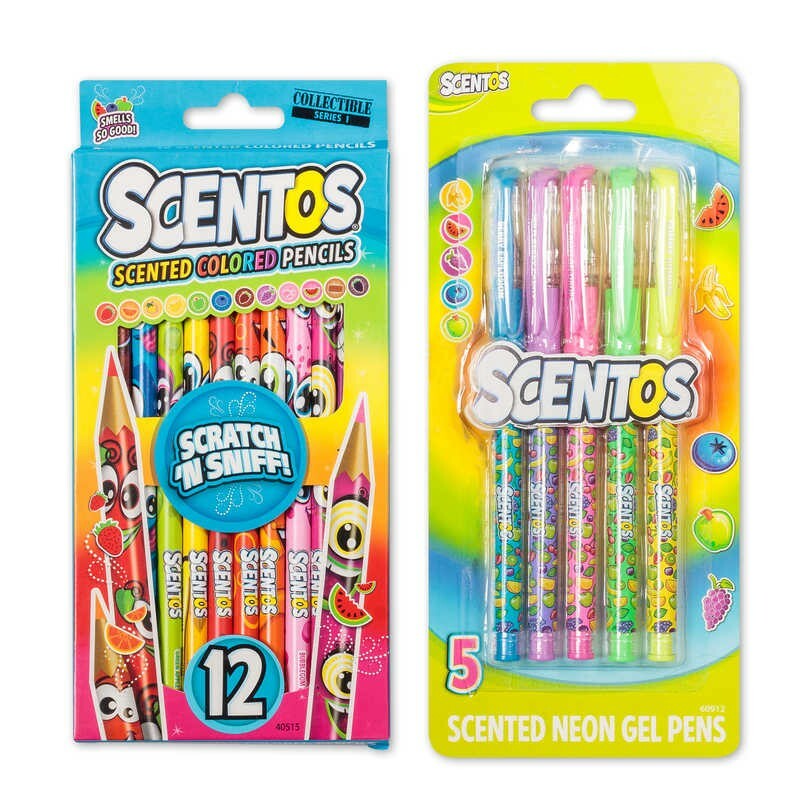 Each item has its own fruity scent too, with a mix of flavours that include strawberry, blueberry, watermelon, grape, banana and more. 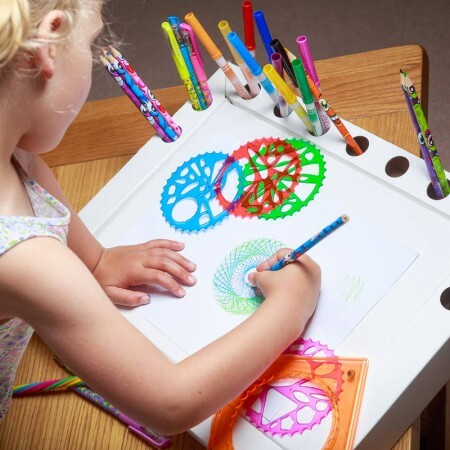 What’s more, all items slide into a plastic workstation that’s perfect for keeping your desk or drawing surface clean and tidy. Pack includes: 6 x gel pens, 12 x colouring pencils, 10 x fine line markers, 2 x HB pencils, twist eraser, 6 x stencils, 10 x sheets of paper, 10 x spiral art shapes, workstation with holders.